A video to help understand hearing loss and hearing impairment by explaining how hearing works. We offer comprehensive holistic diagnostic assessments including Complex Hearing Evaluation for candidacy of Implantable Hearing Devices. Over 2 years of age. Fittings and Management with Auditory Rehabilitation. Using science based treatments including Neuromonics Tinnitus Treatment. Work cover baseline and Full Audiological Assessment. We are an independent Western Australian Audiology Clinic. Our university trained and experienced Audiologists specialise in expert diagnostic hearing assessments and are committed to finding the best hearing and communication solutions for you including hearing aids, Cochlear Implants, Middle Ear Implants as well as assistive listening devices – all styles and brands. We are an accredited Neuromonics Tinnitus Treatment Provider. These must be the best hearing specialists in Perth. They really know their business and are all lovely people too. Nothing is too much trouble, what a team! Thank you all very much for your help and kindness over the past few months. Very best wishes for the future in your new beautiful premises. Elaine is the most amazing independent audiologist that we have had the good fortune to meet. She is extremely knowledgeable, caring and kind. If anyone can help my husband regain his hearing, Elaine will. I have no hesitation in always recommending her. Discovering my hearing loss at 40 was not from a wax build up and that I needed hearing aids was devastating to my self esteem. All I could see was big, ugly, whistling aids in my future. Luckily for me I was put in touch with the lovely ladies at Specialist Hearing. The professional and emotional support offered by Roberta and Elaine was fabulous. Nothing was a problem and everything had a solution. Specialist Hearing are just that – specialists! Elaine guided me through the complexity that is the world of hearing instruments with such gentle care and understanding that I never felt rushed to make a decision. I was allowed the time and space to ‘test drive’ four different designs before settling on the most suitable ones. Elaine’s commitment to both her professional knowledge and her clients is outstanding as she continually worked hard sourcing the best technology and instruments to suit my loss, negotiating with manufacturers to combine the best technology with the smallest instruments, making adjustments and coordinating refits and remoulds where necessary in order to achieve the best outcome for me. I thoroughly recommend the service of Specialist Hearing to everyone. Bernadette. After experiencing a hearing loss and having gone to multiple places in relation to the same, I was referred to Elaine from Specialist Hearing Services. Elaine did a very detailed audiology test that I’ve never had done before. 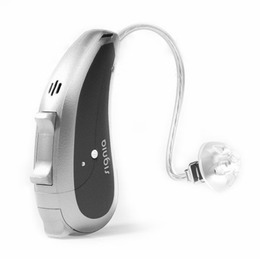 After she completed all my tests she recommended that I try three different hearing aids; once I completed the trail based on my feedback she determined which one was the best for my hearing loss and tinnitus. I was very happy with Elaine’s help as she is a truly knowledgeable and passionate professional in her area. She didn’t only help me with the aid it’s self but also helped me understand in detail my problem, its potential cause and ongoing management. It is a petty that I didn’t meet her earlier to assist with my hearing problem. I would highly recommend Elaine and her team to anyone in need of any hearing services. From my very first visit with Elaine Melville I was very impressed with her great knowledge of hearing. Her relaxed manner put me at ease as I was very nervous about getting hearing aids. Nothing seemed too much trouble for her to do it for you. Her aim is to help you as much as possible. I'm 70 years old and with all of Elaine's help made it easy for me to adopt to my hearing aids. It had made my life so much better now i can hear. I would certainly recommend Elaine Melvile at Specialist Hearing Services in Wembley to anyone. Thanks Elaine. When I first came to the clinic , I was in need of advice about my conditions, the treatments available and what direction to take. I suffered from chronic Tinnitus and Hyperacusis which was having a negative impact on my life. I had to work part-time to give myself more time to rest as my sleep was disrupted by my conditions. When I was stressed the sound of a rustling blanket was painful to my ears and some days I was at wits end. Elaine Melville has a focused, Compassionate and comprehensive approach to attending the needs of her clients. Elaine was able to give me proper advice and monitor the treatment that gave me more freedom from my conditions. The Hyperacusis has gone and the edge has been taken off my Tinnitus, enough so that I have returned to full-time study researching Tinnitus management. I have recommended Elaine to family and friends and will continue to do so. I have learned to manage Tinnitus even on my bad days. My name is Wendy Ezzy and I am 64 yrs old. I am privileged to be client of Elaine Melvilleand the wonderful people at Specialist Hearing services. Without the fantastic services and attention to detail I would not be able to work and my life would just be a lot of noises. I would not be able to hear the wonderful stories my Grandchildren have to tell me. I couldn’t be happier with the service from Elaine Melville at Specialist Hearing Services. After 38 years of severe ski slope loss in my left ear but perfect hearing in my right ear, I didn’t know what I was missing out on until Elaine opened up a new world of hearing for me with new technology and tailor made assistance. It took great perseverance, patience and gentle encouragement from Elaine to create the perfect hearing aid solution for me. We had many early morning or last minute appointments so I could work around the kids schedules and my job. Elaine was very flexible and explained everything she was doing along the way, giving me plenty of time to ‘test drive’ the aids until I was happy. Elaine and Sylvia provided the ultimate in personalized service and are such lovely people. Thank you very much Specialist Hearing Services! 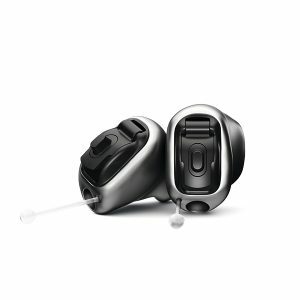 Hi Elaine, I just wanted to say a big thank you for all your help finding me some suitable hearing aids, I'm extremely happy with them. I appreciate the extra time and effort you have put in to both the fitting and sourcing the appropriate level of technology to suit my budget and fussy aesthetic requirements. It was a long haul but we got there in the end. It is not often you come across a professional like yourself who is willing to go the extra yards to ensure they are providing the best service to their client. You have definitely gone above and beyond my expectations and I only wish there were more people like you in this world. 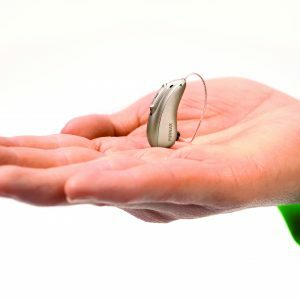 I would be glad to recommend you to anyone who is thinking about purchasing some hearing aids or in need of any advice in regards to their hearing. They will be in safe hands with you. Thanks again. I approached Specialist Hearing in late 2008 concerning a tinnitus problem with which I’d suffered for many years. I experienced a good feeling about it all from the very beginning. I took part in a lengthy trial which tested a new treatment method and which involved evaluations on a regular basis. During this time I found the staff to be encouraging, supportive, and helpful, as well as being motivated by a genuine desire to enhance their patients’ quality of life through relieving their tinnitus and improving their hearing and so reducing their sense of social isolation. What’s more, as a result of the treatment, I feel that my hearing has improved. I have no hesitation in recommending this company and its professional staff to anybody seeking relief from a hearing affliction. My name is Bruce, and I am hearing impaired. 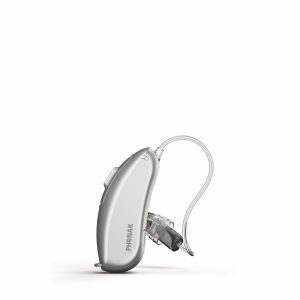 I have a bilateral sensorii neural hearing loss and require hearing aids to handle my personal and work life day by day. I am married to a wonderful wife, Louise, and we are expecting our first child in September 2013. Last year, my hearing aids were in need of replacing and I was referred to Specialist Hearing Services by a job agency. Elaine Melville was assigned to assist me with new hearing aids. 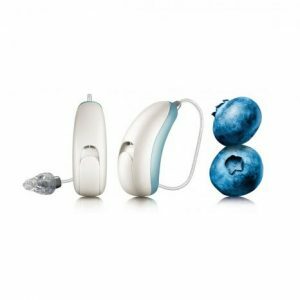 I felt very much at ease with Elaine due to her guidance and support in helping me find the right hearing aids that would benefit me not just for work, but also for personal reasons. Her professionalism and dedication in providing the right hearing aids and set-up is amazing and I am very grateful to Elaine and to Specialist Hearing Services for the fantastic provision given me. 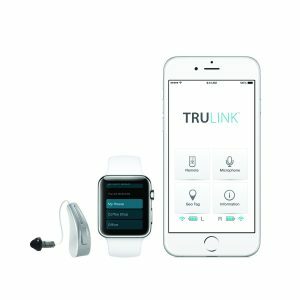 The technology in hearing aids today is amazing and there is so much one can do with Bluetooth technology that is readily available with hearing aids! One can use Bluetooth to synchronise with iPods, tablets and mobile phones! 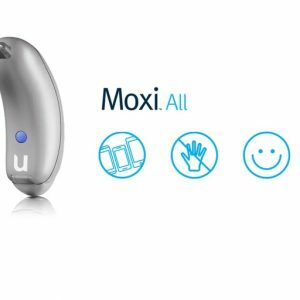 I have no hesitation in recommending Specialist Hearing Services for their service and expert guidance in assisting those with hearing issues to find the right hearing aids for them. This testimonial is written with heartfelt thanks. Elaine Melville changed my life. Her empathy and compassion were evident from our first meeting and the results she delivered blew me away. Then to my amazement came the follow up maintenance, reinforcing her total dedication in improving my hearing. No sale pitch, no pressure. Just a professional diagnosis and recommendation. My decision to buy after trial was very easy. A renewed quality of life had come my way, as I soon discovered included fantastic after sales service. Loss of hearing sneaks up on you and has a profound effect on loved ones. I owe Elaine a lot more than thanks and I will wholeheartedly recommend her to any colleague or friend suffering hearing loss. Thanks Elaine. I can hear the birds. 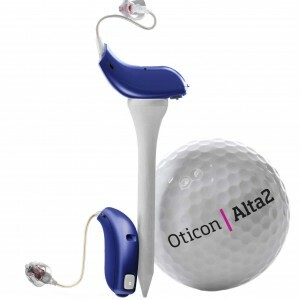 I never thought hearing aids could be so small and discreet! 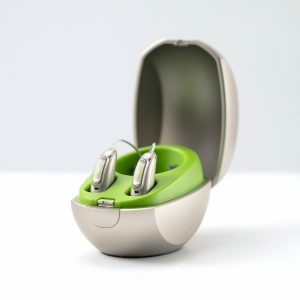 I put off wearing them because I thought everyone would be able to see them and was pleasantly surprised when the team at Specialist Hearing showed me how small they now are. The best thing of all is that I can now hear better at work and hearing my children’s voices is now much easier. Address : 369 Oxford Street, Mount Hawthorn WA 6016.